Updated: Early today we announced the news based on sources. The News is now official as Blenheim Chalcot confirms the news. News is out that the brands ClickZ, Searchenginewatch and SES from Incisive Media have been sold to UK Business builder Blenheim Chalcot. The sale was first tweeted out by Mike Grehan, former group publishing director at Incisive Media, publisher of Searchenginewatch and ClickZ, and producer of the SES international conference series. The sale has been made official, before several sources confirmed the sale has been done and the buyer is indeed Blenheim Chalcot, a UK based company that owns several different companies world wide. For many years SES was the institute when it came to events in the search marketing industry. In 1997 Danny Sullivan founded the blog which would later be called Searchenginewatch, you could say the industries first real industry news website. 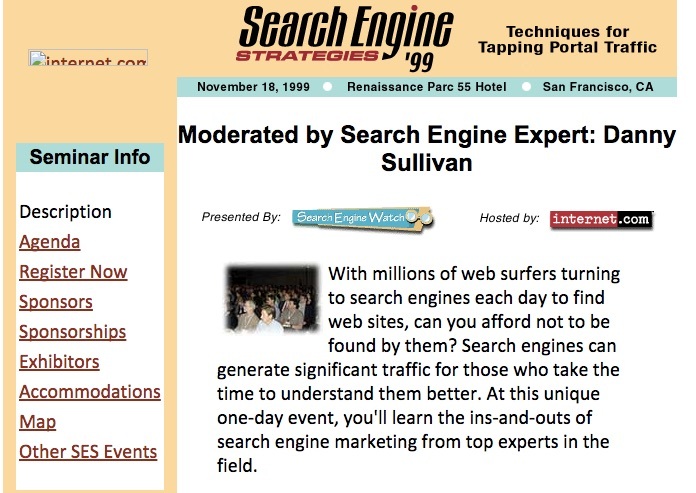 Two years later they organized the first search marketing conference, SES. Danny sold the event and the website to Internet.com who later sold it to Incisive Media in 2005 and left the business December 2006. At that point the conference was at it biggest with 8,000 attendees in New York in 2007. After that Searchenginewatch, ClickZ and SES broadend with a more focus on general digital marketing, while Sullivan continued on the search path creating the other successful site and conference: Searchengineland and SMX via ThirddoorMedia. In the past few years the conference circuit started to change. With other models like the free BrightonSEO and many smaller conferences entering the arena, it became more difficult to hold up the size of the conferences. And where ThirddoorMedia chose the path of growing the search conferences in the US and create spinn offs for different topics like social and last year Martech, Incisive Media tried to get everything into one by changing from SES Conferences to ClickZ. It didn’t make the events grow so it seems. Many saw declining visitor numbers and when key figures like Mike Grehan and Matt McGowan left it looked like things needed to be shaken up. And they did. With a lot of staff changes at first and a different angle on the conferences after. Last SES London created a lot of debate in the industry when SES decided to not use former speakers and charge agencies for speaking at the conference, while inviting brands on stage. You can now say this move was aimed at the sell. After all, that way Incisive would look to be in a higher level, and thus worth more money. I’ve reached out to Incisive for a response, but haven’t heard back yet. Whether or not the brand remains as it is and the conferences keep the same approach is therefor unclear. 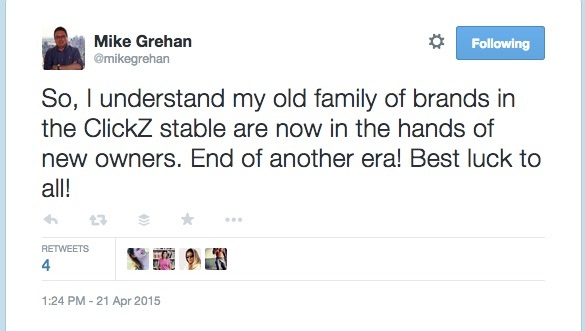 I’ve understood that the editorial team will be kept on and staying in New York until the sale is final. It looks like Blenheim Chalcot will be setting up offices in New York as well. It could go any way, though the aim is definitely ‘the big leagues’. What is clear is that once again it shows the industry has changed and is growing up.